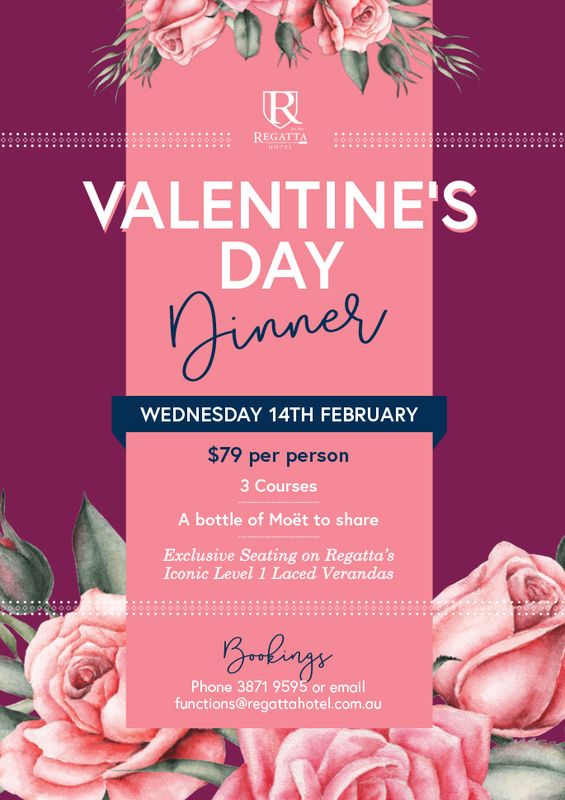 This Valentine’s Day, join Regatta Hotel for a romantic dinner on the dreamy, Level 1 laced verandas. Guests will sit down to a decadent three course dinner, paired with a complimentary bottle of Moet to share, to celebrate a very special evening. Highlights from the menu include an indulgent dessert of Chocolate 5 Ways: Ultimate brownie, fudge sauce; Raspberry & white chocolate brulee; Chocolate dome; Mint choc chip ice cream; Chocolate & coffee mousse, Kahlua cream. To view the menu, click here! Due to popularity, this event is SOLD OUT.